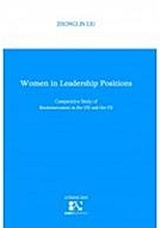 This dissertation aims to examine women in leadership positions by way of comparative study of women leaders in the UK and in the US. It gave specific attention on women leadership development in both countries. More women than ever before are currently in managerial positions, but they have very uneven distribution throughout business functions, industries and levels of an organisation. Most women leaders in both the United Kingdom and in the United States hold managerial positions in the Human Resource and Finance departments, and in service industries. Very few women have had opportunities to proceed into higher, key positions in their organisations such as that of CEO.